GameArter AdBlocker service, is a tool we have used to measure the counts of AdBlock users among visitors of our page for over three months and the results are quite interesting. We measured the adblock count for new aswell as returning users, and changes in adblock usage on our site and external ones. As we can see on the new users graph, only about 11% to 14% of users used adblock on our website in the beginning of the measurement (3-9. 10. 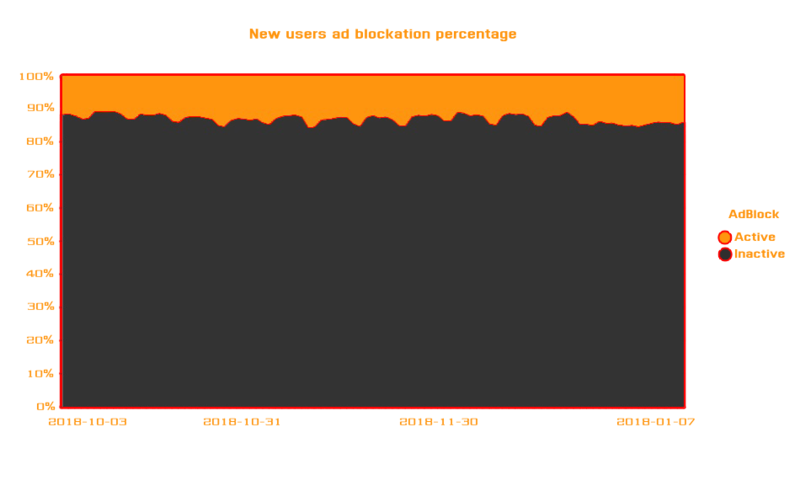 2018), while the rest 86% of users either didn't have adblock or had it disabled by default. We could say, that the number of adblockers is not so groundbraking. This percentual ratio kept being approximately the same trough the entire measurement with no significant increases or drops. 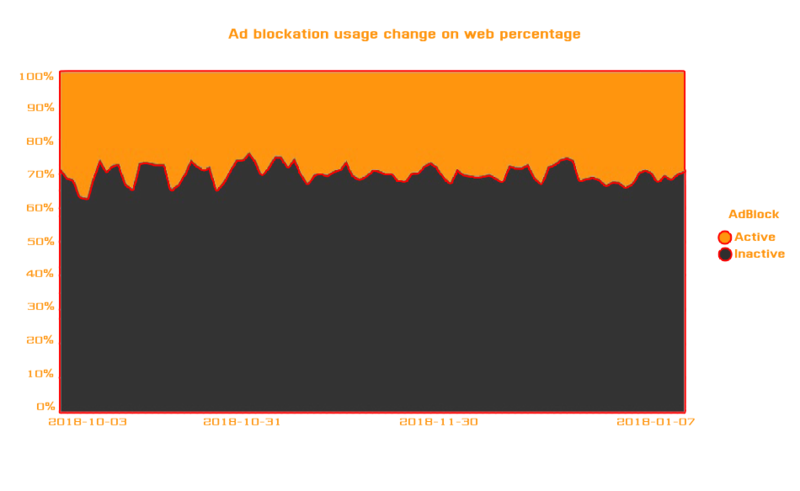 In the returning users we can see a slight (1-2%) increase of users with AdBlock active troughout the whole graph. However small number such as this we cannot take as an indicator of bad ads or positioning. The more interesting part of this measurement is however, the change of adblock with returning users whether on our or external sites. Out of all the changes that happen outside of our site is only approximately 30% positive troughout the time of this measurement. This means that only 30% changed adblock from being active to inactive before they returned to our site, while the rest 70% turned their adblock on for some reason. The situation is luckily not so dramatical when we count the changes numbers happening on our own site. In fact, the situation is totally opposite. Out of all the users that changed AdBlock settings on our site, only 26% change adblock to being on, while the majority of visiting players turn their adblock off based on our urge. 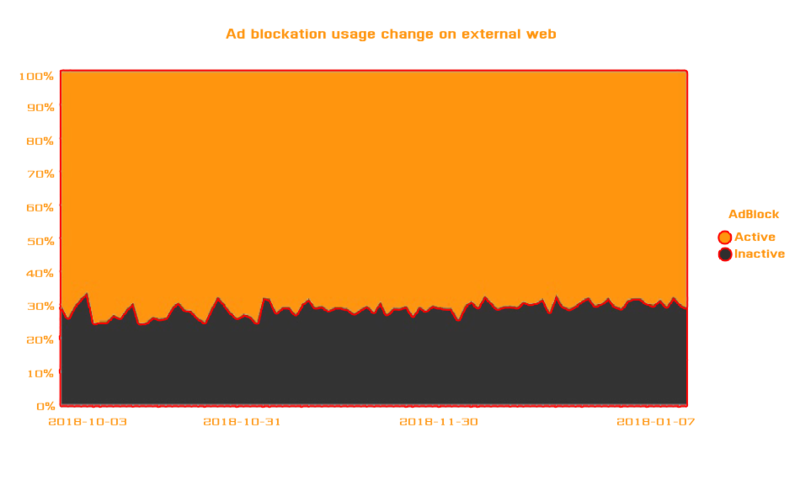 This is means our AdBlocker service is very successful in its task of reducing adblock usage numbers among page visitors. If you want to read more about our GameArter AdBlocker service, or want to know how to use it's benefits yourself, see THIS article.